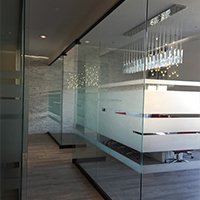 Serving Montgomery County, Maryland & Central Maryland, Northern Virginia & Washington, D.C.
Design Glass & Mirror specializes in custom glass and mirror application and installations in the Central, Maryland area serving Montgomery, Howard, Frederick Counties. We are located in Gaithersburg, Maryland. 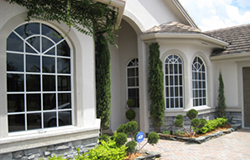 Design Glass & Mirror provides glass services for home owners during home improvement projects, property management companies needing installation of insulated glass replacements, window replacement and window/door repair. 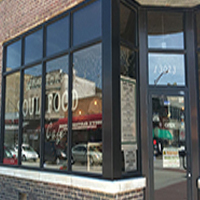 Businesses can depend on the highest quality in commercial glass including storefronts and entrance doors. We work with architect or designer, contractors and builders, we know that you encounter many obstacles in dealing with the design of a project such as increased planning, building and engineering requirements balanced by the client’s desires. We understand the each project's situation is unique and that is why you can depend on the professionals at Design Glass & Mirror from start to finish, and we let you determine the level of support you need. These are the custom glass services we offered and you can see some samples in our business location in Gaithersburg, Maryland. Planning an update to your bathroom? Your shower or tub and shower combination is a focal point and updating is an investment that will get you higher returns when you decide to sell your home. Choosing the right shower style for your bathroom is important but it shouldn’t have to be difficult. With our design experience we can easily transform your old bathroom into an updated version showcasing your beautiful new glass shower doors. Custom shower enclosures are really the latest in new designs for bathroom. Our designs always consider your bathroom space, design and budget needs. Our experienced and professional staff will discuss with you all of your options and styles in shower enclosures. You may choose to have a frameless or framed shower enclosure; both are used in all updated showers in modern bathrooms. 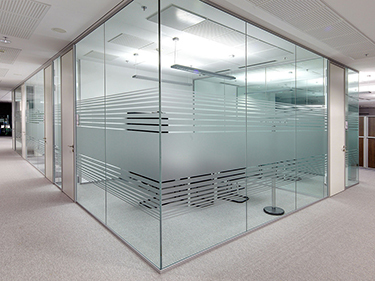 Design Glass and Mirror offers a large range of glass office partitions and glass wall partitions with innovative design features; such as, custom etched glass and etched filming that adds to the privacy of the room without blocking out the light. These designs can be on carved glass, bent glass, cast glass transforming into unique designs that allow our clients an office environment that is exacting and meets specifications. 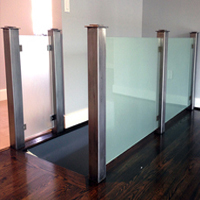 We design custom glass railings that are sleek and modern and very easy to maintain as well. We have designed several different styles of railing systems that include: standoff railings, post railings, and base shoe railings; all of our glass railing systems are code compliant. Our systems can be used with stainless steel or wood, allowing them to fit into any design aesthetic. We are happy to meet with you and your architect or designer for a complimentary consultation. We specialize in creating all types of custom mirrors, table tops and more. If you are looking for specialty glass or mirrors for you home, schedule an appointment with us today. You can choose the thickness, the shape, the edge, and color. We will even create from a drawing. We have served many local businesses with custom designed storefronts and entries. Aluminum and glass storefronts are an excellent way to improve and modernize the appearance of your building. Storefronts can be customized to fit nearly any taste, budget or building style. Design Glass & Mirror are certified service technicians and can install, repair or replace: Insulated double paned windows, single pane windows with decorative glass, storm windows, or any other glass product you need to replace. We repair storm window glass at our Gaithersburg, Maryland location within 3 business days if it does not require tempered glass. We have a limited selection of sash hardware if the frame has separated and needs replacing. Our bow windows combine four or more fixed or venting windows to create a large aesthetic addition to your home the can be double hung or sliding casement. 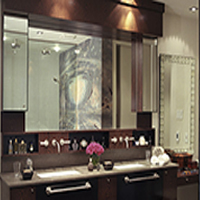 Custom glass shower doors, enclosures, partitions, table tops, mirrors and more. 25 years of glass design and installation. © 2007 - Design Glass and Mirror. All Rights Reserved.